During the biannual Research Through Design conference, in short RTD, I created personalised artefacts with the delegates of their conference impressions. 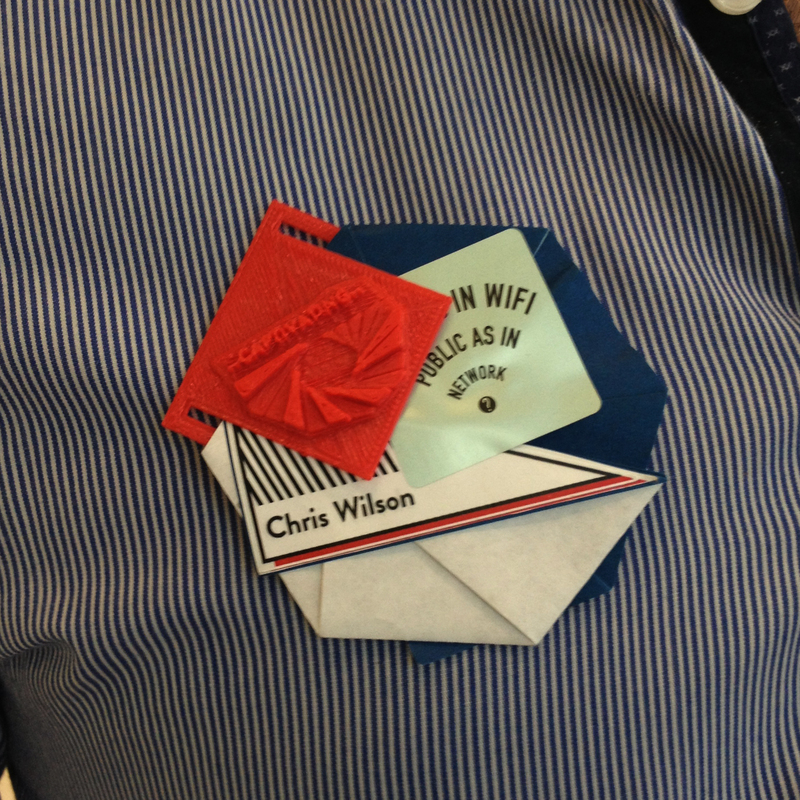 With the conferences premise as experimental platform for disseminating practice-based design research, I took it as an opportunity to develop a unique, algorithmic design that would allow conference delegates to create their own personal souvenirs. Inspired by the abstracted ammonite shape of the RTD logo, the design of a wearable artefacts encapsulated experiences of attendees in the form of a personalised fossils. Fossils can be understood as preserved traces of an organism that lived at a certain time in the past. From this perspective, the 3D printed artefacts can be considered contemporary fossilisations of attendee’s traces of this specific moment in time, the RTD conference. They remain as personal mementos for each attendee to not only wear during the conference but to take home as encapsulated impression of the conference as meaningful, physical artefacts. By interactively recording aspects of attendees’ experiences and actively involving the individuals in the public making of their unique artefacts, I am suggesting that meaningful mementos of attendee’s impressions can be digitally fabricated. This work forms part of my PhD research focusing on situating digital fabrication within participatory and experiential activities of data translation to create physical, reflective and meaningful ‘data-things’.